Oops, I put this under General Scrapping instead of Challenges. I don't think I can move it. I thought of it just as I hit submit. Sorry to be late getting this up. I hope that you are all ready for a fun December of crafting, scrapping and family. Either this thread got moved, or I wasn't so scatter-brained after all. It is now in Challenges. I didn't move it. Looks like you had it in the right place all along! Thanks for setting up the thread. Hope you are feeling better, nylene, not in too much pain, and able to get around a bit more. Happy December, Pokeys! Starting to look a lot like Christmas--on the outside, anyway. We had a dump of snow last night and today: looks like at least a foot of the white stuff on the front yard. I plan to get the tree up and decorated and some other Chrismassy décor done this upcoming week. Have been focussing on getting my family & friends' cards signed and addressed. Just a few more to do this evening. Then I need to fold the letters and tuck them into the cards and attach our return labels. Should be ready to take them into the post office tomorrow. I need to put some Christmas gifts into the mail anyway, as well as a birthday gift for one of my dgk's and a couple of bd cards. I will pop back in later to talk about the 12 days of Christmas challenges, and share a couple of things I made today. Happy December!!! Hope you all had a nice weekend. We visited my in-laws and on Sunday saw some of the city's Christmas parade. It was cute to see the little kids dancing and performing. nylene- OMG! I am so sorry to hear about your accident and the loss of your db. Sooo, tough! I am sending you a warm hug now. I hope you are feeling better today and really taking care of yourself. I say spoil yourself now with anything that feels comforting, relaxing and flat out fun! grammadee- Glad you are up and at 'em with Christmas cards. I hope to make some for my dh's job and family, so we will see. Thanks again for organizing our Pokey Peas card exchange. joyfulnana- On Saturday, when we were leaving my in-laws I could see the new NFL stadium. It is so close, literally across the street. So we drove around to the front to get a better view and it is awesome! I can't wait to see it all done. Waving hi to you all and take care! Good Tuesday morning, Pokeys. How are you all doing? Have you noticed the 12 Days of Christmas challenges? I have been posting a challenge a day, and will be doing that until December 12th. Would love to have you join in. Maybe you could earn a free magazine! 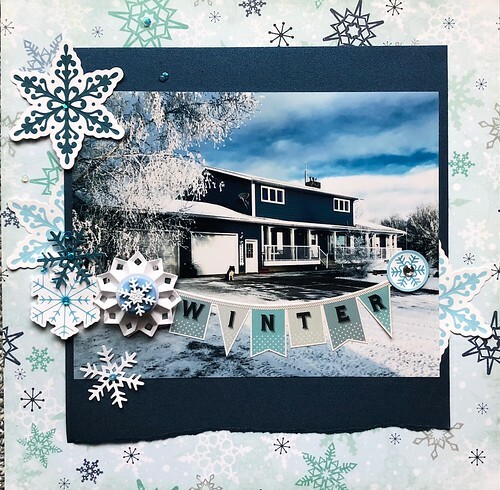 Here are a couple of cards I completed for my challenges, as well as a quick cover page for my winter album. Other than that, not a lot of crafting for me this week. I have been feeling like the March Hare all fall, "I'm late; I'm late for a very important date! ", but am beginning to feel like my Christmas prep is closer to being on schedule. Holiday baking is done, except for one no bake recipe that can be done in half an hour. Finished shopping last Friday. Managed to get most of what I needed at the Mall near the clinic and had time to drive out to Toys R Us before I needed to pick up dh. There was only one other thing I would have liked to have picked up, but it was just a gag gift. Might pick it up at a later date to be given next year. I was told on Thursday that the copies of the Florida album and family calendar should be ready by Wednesday or Thursday, so when I have those in hand I can put together parcels to be shipped to the kids in BC and Ontario. My cards and parcels to my brothers' families went to the post office yesterday, and dh and I rearranged the furniture and put up the Christmas tree. Today I have all the decorations except for the candy canes on it. Just need to take a few small boxes downstairs and vacuum the rug again and that job is finished. I have other areas I want to decorate, but manageable to do that the rest of this week, along with a pretty thorough house cleaning. LOL, grammadee, you just make me laugh. You have so much going and get so much done, I know I will always think of you as the Energizer Bunny. I'm glad your cards are just about finished and that the albums will be ready to send for Christmas. Your family will love them. The above cards are beautiful. I'll go to the gallery and leave love. Thanks for the 12 days prompts. I don't think I will get anything done, but I love the ideas. kellyr21, I remember you talking about the Christmas parade on other years and I wished we had something like that here. I guess the ice and snow makes that less fun in colder climates. It will be fun for you to watch the Stadium be built. Glad you got to spend time with the in-laws. I am healing really well. Much faster than I thought. The MRI is tomorrow, but I have been walking with just a brace on one leg and no walker for several days. Most of my Christmas cards to family are sent, but I didn't make enough and need to either buy a few or whip up some quick ones. I don't usually send to all my nieces' and nephews'families, but have an accurate address list this year so I want to do it. Notifying family for my DB's funeral has given me a chance to chat with distant cousins and it has been comforting. Many I have had no contact with for 30 years. Well, I am going to do some work around this house. It has certainly been neglected lately. I am waving to each of you Pokeys and hope things are going well for Christmas and Hanukkah preparations. LOL@grammadee you are such a busy bee! I marvel at all you get done! Sounds like winter is there in your part of the world for sure! We had about 6 inches of snow last weekend which is a lot for us now. It was so pretty, but there was quite a bit of ice underneath which is not so fun. Snowstorms are one of the biggest perks of working from home in my mind, no driving in it and no scraping the car lol. I love your Christmas Decor! Especially the angels! Thanks for getting us started nylene , I'm so glad you are healing! Do you have the results of the MRI? It does seem to take a funeral sometimes to get a family back in touch. I'm glad you are finding comfort in chatting with people you had lost touch with. My tree is up finally. Each year I buy a new ornament ( or 2 or 3) for the little guy, superheros or characters that he is into that year. When putting the ornaments on this year he said we need "more mans ornaments" lol, not enough superheros for his liking I guess LOL! He just cracks me up. I have one batch of jerky finished with one more to go, and will do some baking this weekend if I can find room in the freezer for it. I only have stocking stuffers left to pick up as far as the gifts go. My aim was to have a slower pace this season and so far it has been. But no crafty mojo, so I'm hoping I don't have to wait for Santa to bring me some. I have everything to start my December album but haven't done anything with it yet. Happy December to everyone and waving hi! Checking in with you all this morning and trying to get caught up on your busy lives. nylene, I'm very sorry for your loss, and for your injury on top of that. Sending big hugs your way, and prayers for strength and healing. joyfulnana, my BIL makes a venison jerky that's amazing. The taste of the homemade stuff just ruins it for anything storebought. I understand why your boys go nuts for it. I really love seeing all the photos of your homes all decorated for Christmas, and I hope you'll all post more! grammadee, the setup with the geese is wonderful - I bet it makes you smile every time you walk by! 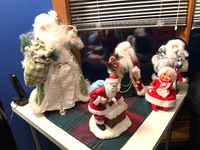 woodysbetty, with all the packing, will you be able to have a small Christmas set up this year? I hope so, and I hope you'll share a photo with us. My tree is up finally. Each year I buy a new ornament ( or 2 or 3) for the little guy, superheros or characters that he is into that year. When putting the ornaments on this year he said we need "more mans ornaments" lol, not enough superheros for his liking I guess LOL! He just cracks me up. Hee hee! joyfulnana, your story about tree decorations would go really well in the 1st Day of Christmas challenge. Especially with a back up photo of the tree with the mans ornaments on it! You should totally add it there for points! Every year, I attach an ornament (usually a stuffy ornament from a Costco pack) onto the gift I wrap for each grandchild. They take the ornament off the package and hang it on their tree. A couple of years ago, my one ddil decided that she wanted an artsy tree and that those ornaments didn't fit with her theme. The kids complained, and when ds got home from work, he strung a heavy twine along the top of their greatroom windows to hang all the stuffies there. joyfulnana and grammadee, I love hearing about your Christmas experiences and traditions. Your decorations of geese and angels are so sweet. It makes me anxious to get my Christmas things out. I am waiting to see what the Dr. says tomorrow about the MRI and until after the funeral on Saturday. I can hardly wait! I'm sure my Alex would love some Men hero ornaments. As our children were growing up, I made a new ornament for each one every year. When they married I boxed up their ornaments and sent them home to their new homes with them. Shortly after our son's 2nd marriage, his wife found that box and decided to throw them out because they weren't anything like her beautiful decor. He was able to rescue them and they are on a smaller tree with other simple, multi-colored, handmade ornaments. It made me happy that he wanted to keep them because he has NEVER been very sentimental. I would love to hear about some of the traditions of others of you Pokeys. msliz, what things have you done already as a family to celebrate Hanukkah? woodysbetty, will you be settled enough to have a tree, etc? Started getting birthday cards! So gorgeous! I've got my summer and fall pics edited and ordered finally after all those months of nothing but wedding...so glad to be done with that. Over 500 pics and 4 albums got old near the end! I've started back on my normal scrapping of grands every day books and looking in the challenges for sketches and enjoying scrapping again. We had some family here at TG: dh and I are on the ends. I made 6 nativity gardens with some of my small ones, succulents and dishes from Goodwill. I was afraid they were kind of tacky, but everyone I gave them to seemed excited about them. I had to get rid of some of my nativities because I am being gifted a piano and will have to move the bookcases out of my den so I don't have a place for them. I wanted to give one to a friend who lives out of town and I knew I couldn't mail it or take it to her, so after several phone calls, I finally found a florist who would make her one ...$91! 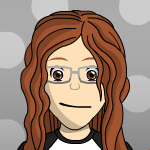 woodysbetty- we are all hoping everything goes well for your move. nylene- so glad your knee is better...I was worried. Bad knees can mess up your life, for sure. 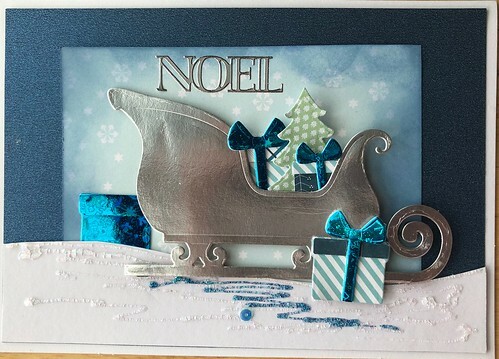 grammadee- love your cards and layout and your Christmas decor pics. I keep going back and looking! misliz love hearing about your Hanukkah celebrations...sounds like everyone is going to have some good stuff. joyfulnana "more mans ornaments" those little guys keep us laughing, don't they! Good to hear from you, elaynef. Glad you are enjoying your cards. And glad you are finding joy in scrapbooking again. Isn't it wonderful to just feel you are free to scrap "whatever" instead of finishing up a project. And you finished FOUR albums!!! Wow! And from what you have shared so far, it looks like you have lots of fun family photos to scrap. Love your ornament story, nylene. So glad he was able to rescue them. It really feels wonderful when you realize how much the little things you do for people is appreciated. Hope your MRI results are good and that your mobility continues to improve. I spent yesterday and today cleaning house like crazy. Our ds and a couple of their kids will be staying here tomorrow night. His older son will be playing hockey near here Saturday afternoon. The hockey player will be travelling with the team on the bus. Dh & I plan to drive there to watch him play. His dad and brothers will meet us there and then come back to the farm for the night. The game isn't until 4:15, but we will be leaving in the morning. Of course dh wants to make stops at Princess Auto and Home Depot and probably some other places I have no interest in going, but hopefully I will be able to make a couple of stops I want/need to make as well. Okay. Off to get some sleep before our exciting weekend. Happy weekend! I have had a very nice weekend. Last night we went to a Japanese restaurant up the street. We had never been before and we were happily surprise at the romantic ambience and the delicious food. We got Bento Box dinners where the dishes were in sections and so colorful. We had sooo much food there were plenty for leftovers today. Then today, I had wanted to go to the farmer's market and finally made it. Besides all the veggies, food and other items, they also had clothes and jewelry. I got a beautiful Mexican style embrodered top. I wish I got a few more items there but maybe next week I can go back. Up the street from there was a faire at this church. I walked around there too and bought a few things. Boy, I got plenty of exercise today. LOL! grammadee- Oh, look at your pretty Christmas décor. I think we will put our tree up tomorrow. I gotta get over to the gallery and see your projects. elaynef- Did I miss your birthday? When was/is it? Look at those cards you got too. What a wonderful family you had. How many children and grands do you have? nylene- SO glad to here you are healing well! I hope the Good Lord showers you and your dh with lots of joy and comfort during this season. Hang in there! Waving hello to all you Peas and hope you have a wonderful Sunday! Kellyr21, my bd is 12-14 & I have 3 dd and 12 gc. I am blessed. I've enjoyed getting the cards from the bd card group. I got grammadee's yesterday and of course, it's gorgeous. I love this pokey group. You and everyone, seem to genuinely care about each other and the things that are going on in our lives and that's a big bright spot in my day! I'm having coffee, checking in and listening to the rumble of music coming from the road outside the stadium as people wait in line to tailgate and watch the Chiefs game. So no going anywhere before noon or after 3:30 for me today lol. grammadee that's a great idea about taking photos of the ornaments and I will do that today! I haven't done any crafting at all this month and I'm really missing it. I will have to check out the 12 days challenges. It sounds like you have a busy weekend planned. I'm glad your DGS is ok! Concussions are scary but I'm sure he is excited to be playing again! I love it that your grands protested not having their ornaments and that you DS saved the day. kellyr21 your weekend sounds divine. I love farmer's markets and we have quite a large one here, but parking downtown is limited so I don't go except maybe once a season because it's always packed. I do miss living in a smaller city for sure. elaynef what a beautiful family! And Happy belated Birthday! That's wonderful that you are being gifted a piano! I played when I was young, and sometimes wish I still did. I'm always glad to get back to my "regular" scrapping after a big project as well. nylene did you have your MRI and I missed the results? I love your ornament story! My boys aren't very sentimental about things either so that is heartwarming that he saved them. I knitted stockings for each mine that we still use, and made one to match for DGS. The one I had made for myself was a different style and I always hated that thing so I tossed it last year and forgot that I meant to make a new one for myself. That is going to be on the list for next year for sure! I noticed on FB that my sister has crocheted stocking for all of her grands, that are the same pattern I didn't like, but hers turned out much better than mine LOL! I am really enjoying hearing about everyone's traditions and seeing the photos. msliz I would love to hear more about your Hanukkah traditions! Waving hi to everyone and hope you've had a great weekend! Hello, all my Pokey friends. It's fun to read about your Christmas traditions and things going on in your family. elaynef, what a wonderful idea to make nativity gardens. Did you take some photos? I would love to see what you did. What wonderful gifts! I am happy about your piano. I don't play and gave ours to DD but I miss it when the family is around. Thanks for sharing your family photo. grammadee, I am so sorry about your DGS and the concussion watch. Will they continue to check him periodically? It's a scary condition even years later. Did he play, and did they win? kellyr21, what fun to go shopping at the Farmer's Market. Your Japanese dinner sounds wonderful. We loved the Japanese food we were served while we were visiting Angie in Japan. The colors, and presentation are so beautiful. Now I understand why our little exchange students turned up their noses at a hamburger shoved in a bag! joyfulnana, that's great that you have knitted stockings for the family. Don't forget to do yours this year so you can match. My older brother came home from work as a stock boy for J.C. Penney, with Christmas stocking kits for each of his younger siblings. We sewed pieces and sequins and beads on them. He wrote our names with glue on the cuff and mom poured glitter on it. That was probably 40 years ago, but we loved them. At his funeral on Sat. his oldest daughter told about the stockings and had made a stocking for each of us siblings of her dad, and filled it with DVDs of photos of all of us. I'm sure the time will come that each of your precious stockings will bring back lots of family memories! I love getting the Christmas cards. It's like a big surprise each day. You women are amazing! I saw the Ortho Dr. on Friday and he said that my meniscus isn't just torn, but totally shredded. The only thing that will repair it is a knee replacement. However, there is no rush. He said when the pain becomes so bad I'm not willing to take it, come back in. I am almost back to my normal painful knees, so I will find a time that is not so busy to do it. I have been 2-stepping up and down stairs for several years, so I knew I already had damage. The fall has not really added to the problem. When I'm out and about I wear the brace, but just a wrap at home. Thank you all for your concern and prayers. Sending hugs and waves to all the Pokeys! I know what a busy time this each for all families! I everyone. elaynef I'm glad your card got there! nylene I'm glad you're on the move again. Take care of that knee. My mom's hip replacement improved her quality of life so much. Those stockings sound wonderful joyfulnana. I hit a farmers' market this weekend, too, kellyr21. I just bought food. msliz my craft table (one of them) has become gift wrap central, too. I'm looking forward to Saturday. DH and I are heading out to grammadee's for supper and gift exchange. We put our tree up last week. It is a new one and it makes me so happy. The lights change color and there are 7 different colors. It also has some built in music and the lights will flash in time when you want them to. It is 7.5 feet tall so our angel barely fits. I will see if I can share a pic. Merry Monday, Pokeys! Two weeks until Christmas Eve!!! Glad you are getting around better, nylene , even if you have to two step the stairs. Make sure you don't over do it. Thanks for asking about our dgs. He played on Saturday, and although the team lost in the last minute of play, he did really well. He was given his regular shifts and was able to keep up and play hard. Watching him was like watching his dad play years ago: he plays with heart as well as skill. A farmers' market with added crafts sounds like a lovely way to spend a Saturday, kellyr21 . And a romantic dinner at a Japanese restaurant sounds delightful as well. We had lunch at Denny's and supper at McDonalds' on Saturday: all scheduled around the hockey game. Sunday morning I made bacon and waffles for the boys before they were off to the next game and then home. Having home made stockings sounds like a wonderful tradition, joyfulnana . We had pre made ones for years, but don't hang them every year. One year, just after the kids left home, I made dh and I each a small felt stocking, and we each put something small in the other's stocking each day after they went up, but we haven't done that for years. 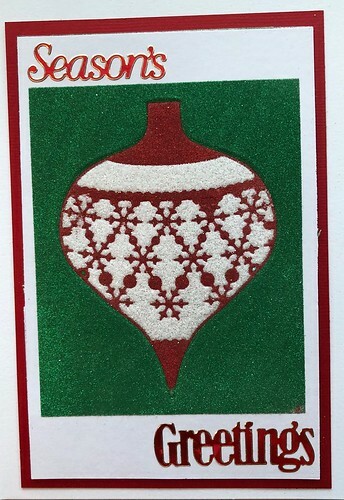 Loved seeing your ornament photos in the Days of Christmas challenge. Would love to see your stockings, too. This week will be busy socially for us. Wednesday evening dh and I will be playing cards with friends. Thursday I have an appointment for a "full meal deal" for my hair, and in the evening we have the annual Christmas party. Friday night is the local choir's Christmas concert. Saturday, justjac and her dh are coming over for supper, and I am waiting for RSVP's from my sister in law and a neighbour couple about having supper here with them on Sunday. A merry week, for sure! I spent today kind of on hold, waiting to hear if my printing was finished, but just heard my books (the Florida albums) and calendars will be ready by tomorrow morning. I had wanted to have all my gifts for families in BC and Ontario wrapped and shipped by today, but was waiting for those two items. I like to have everything laid out before I wrap a set of gifts, but today I wrapped all the other gifts for those two families, and packed them into boxes with a box in each that will accommodate the calendar and photo book. So after I finish the calendars (gluing in the monthly pages and writing in the family dates) I can be all ready to ship. I could have written in the dates today, except that the bin that has the calendar pages in it also has the family perpetual calendar in it and that bin is at the printers'. Okay, my novel has been written. Waving hello to everyone! Nylene, I do have pics of my nativity gardens... some more are lost in my dysfunctional pic archives and may never be seen again! Glad to hear you didn't do further injury to your knees! I had knee replacements many years ago and it was not nearly the ordeal I expected and I had great results. Thanks for all the beautiful birthday and Christmas cards! nylene I love your stocking story. And what a thoughtful and precious gift his daughter gave! I'm sure it will be treasured! My mom decorated felt stockings with sequins and glitter names too. I loved that thing! I will probably start knitting my stocking in January and have to do a quick finish the week before Christmas lol. I'm so happy you got somewhat good news about your knee and that it's getting back your "normal" pain. My knees aren't the best either and I do some two stepping on certain stair cases as well. grammadee what a fun festive week you have planned! I hope by now you have your books and they have been sent to the recipients. From what I have seen of them in the gallery they are wonderful and I'm sure they will be loved! I think that's just awesome that you and justjac live close enough to crop and have dinner together. With some, of you ladies that are part of groups and have peas close, I keep getting an inner nagging that I need to find my crafty tribe here lol. And that's good news about your DGS, even though it was a loss. 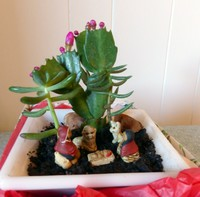 elaynef I love that succulent nativity! It's so festive and fresh with the live greenery! It also brings to mind the terrariums we used to build when I was young. So many cool things we used to do that have gotten lost. Although I did see that string art has made a comeback. I used to love doing that too lol. justjac your tree sounds so cool I hope you will post a pic! I took Friday off and am spending the day with DGS taking him to the Bass Pro Santa's workshop. He doesn't know that yet, but he will have a blast I hope. I'm doing Shimelle's JYC this year for the first time and oh my the memories of childhood Christmas season are just flooding back! I want to spend the morning making cut out sugar cookies with him, and then in my JYC journaling, I remembered the paper chains we always made in school to count down the days. It has me wanting to make one with him this weekend as well, getting all messy with paper and glue lol. Tonight I will be returning a gift I bought, already returning things that haven't even been opened yet lol and picking up the rest of the things I need for stockings, dinner, and all the last minute things. I hope everyone is having a great week and having a great run up to the holiday! Hi Pokeys- thought I should check in before you all thought I was AWOL! Such a busy season. I am so grateful we got an extra week between (American) Thanksgiving & Christmas this year. I might actually make it! nylene- what a sweet gift your niece gave you at your DB's memorial. Thank you for sharing. It made me tear up. Doggone our knees as we age! Honestly most everyone I know has had really good luck with replacements, so hope you will be able to do that soon. grammadee- I nominate you for busiest Pokey. I admire your energy. What fun you seem to have.No wonder you scrapbook! So many memories. I'm glad your family appreciates it.Your dinner party will be a hoot! elaynef- I loved all your nativities, but your nativity gardens definitely kicked it up a notch. What a beautiful idea & beautifully executed! Are you loving your new space? It looks so roomy. Sorry I missed your birthday. You gave a nice looking family. joyfulnana- What fun you are having with your DGS! Isnt being a grandma The Best? msliz- I hope your Hanukkah celebration was both meaningful & fun & that you got all the presents sorted out. kellyr21- what a fun weekend! All the farmers markets here are closed & have been for a couple of months so its grocery store "imported" produce for us. justjac- ooooo I like your tree. We had all kinds of issues with both our window lights & tree lights this year so bought 6 new strands ( 3 for each area) this year. And guess what? At least 2 more strands of lights went out in the middle of the tree. I give up! It's snowing! ( not expected) & slightly windy. I hope the wind doesn't pick up as we go from snow to blizzard really quickly here on the plains & tomorrow is our Bible Study brunch which I am looking forward to. I am ALMOST done with my personal Christmas cards ( goal by this weekend.) Next week will be to finish wrapping all the gifts & figuring out who/what I have missed ( purchasing gift cards to fill in the holes!) I am dealing with all kinds of Dr. Appts. I THINK I'm ok, but more on all of that later as this is an epic long post from me. Thanks for sharing life with me. I'll try to update more often. I could not find a December Well I found it just after I posted, I didn't realize the thread was under the Challenge tab now I will go read all the December posts and catch up with everyone. nylene and grammadee - thank you both so much for the wonderful Christmas Cards. 2018 found me MIA from this group of wonderful ladies, I have been focusing mainly on some Facebook groups and would love to invite any of the pokeys who are on Facebook to join me. A few of them are swap groups where we make ATC cards or Passbook Pals (registered trademark) which are 3 x 4 "stamps" and are essentially ATC cards but not has bulky as ATC's can get. It is bascially a great way to use up all those scraps we end up with when we have nearly picked through a paper collection. Personal issues also prevented me from visiting here. It was a pretty bad year at work. As those of you who knew me from before, that is a common complaint of mine. My assistant left quite suddenly to return to her home State of Washington as her husband was unable to find work here after he left his job due to a takeover by another company. I had to scramble to find a suitable replacement. It is a unique working environment (and duties) and it takes a special individual who will be able to fit in with the environment and be willing to learn the complexities of the position. So far it appears I found an excellent fit and my stress in the last two months has been greatly reduced. I dislike coming to this thread with my misery, so thought it was better to stay away. My goal is to only bring cheer and joy, not burden others with my stress. But my hope for 2019 is to join you ladies on a regular basis and join in the fun that seems to be going on here at 2peas. grammadee - did you hear that Calvinball is going to be over at Scraphappy.com this year. Do you have any details. I was so sad to hear of Cindy's passing. Such a lovely lady. She made me a card holder using her cutting machine a year or so ago. I think of her every time I see it. Merry Christmas and here is to a great New Year. Whew! maribeth, I was just going to quote you and then direct you to this thread when your post in the November thread DISAPPEARED! I thought maybe I had done something, so glad you deleted it after copying here. SO GOOD to hear from you! Really look forward to having you join into the Pokey threads in the upcoming year.